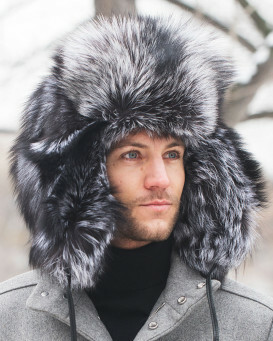 The store's assortment of fine fur hats is extensive. 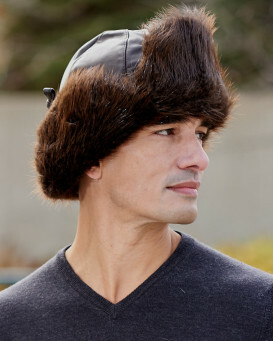 Men can shop from a line of more than 200 unique models of men's fur hats. Stay warm and look cool in the latest fashion forward styles including rabbit fur Bomber® hats and Aviator hats with their retro WWII bomber pilot styling. 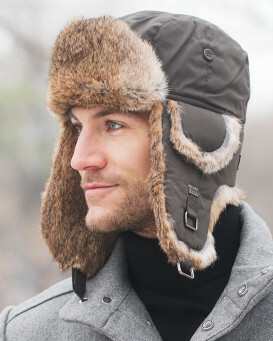 Shop for the always popular Russian style hats featuring full fur Ushanka Hats and Cossack style hats available in various furs like mink and shearling sheepskin. 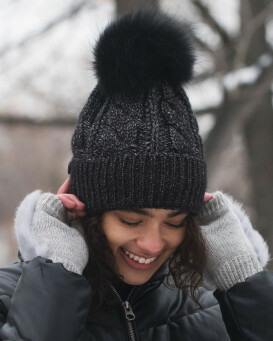 The store's selection of women's fur hats includes an equally impressive range of options, all of them genuinely warm and ideally suited for cold weather. 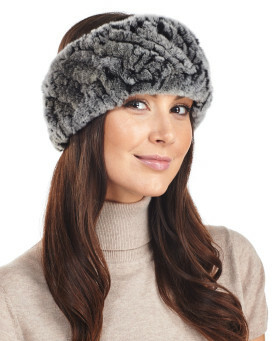 In all, there are more than 250 different types of women's real fur head toppers available. 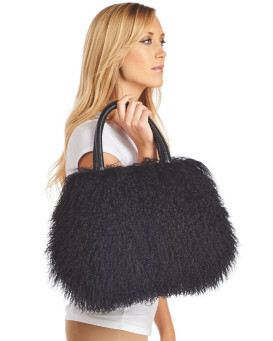 The Fashion Fur Hats category features fox fur hats including the popular Zhivago Pillbox style and the roller hat style in fox fur and mink. 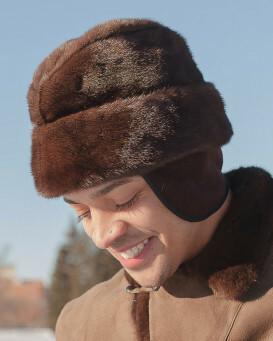 The American mink hats are offered in black mink, mahogany mink and white mink. 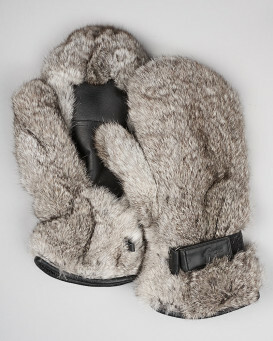 The casual winter hats section features shearling sheepskin hats as well as rex rabbit hats and other stylish furry hats in numerous designs. 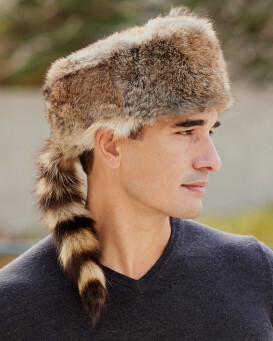 The store also boasts an exceptional collection ladies fur lined Trapper Hats and full fur Ushanka style Russian Hats including fur trim Trooper hat styles in a great choice of fur and sheepskin options. 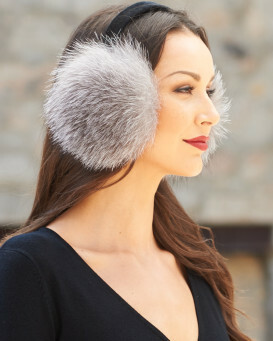 Stay warm and look great with glamorous yet cozy fur accessories. 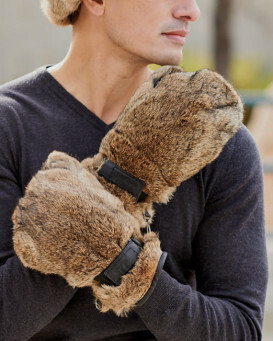 Shop through a vast selection of real fur headbands and fur ear muffs to fur leg warmers with matching fur gloves collars and cuffs. The fur scarves collection is abundant with warm fox fur, mink, rabbit and Mongolian lamb scarves in a number of fashion colors. 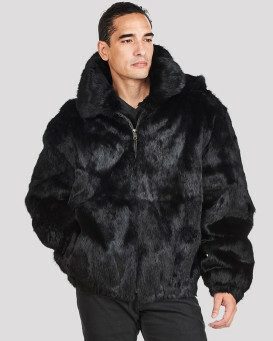 For those who take warm winter style seriously, browse the fur coats, jackets and fur vest category featuring knit mink, fox, and rabbit fur. The popular choice for weddings and formal gatherings is the classic fur shawl. 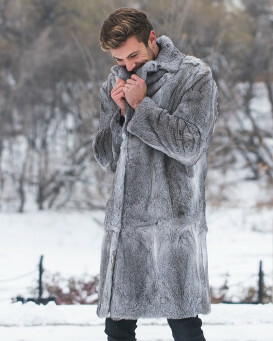 Choose from over 50 styles of fur shawls and stoles to wrap yourself in. 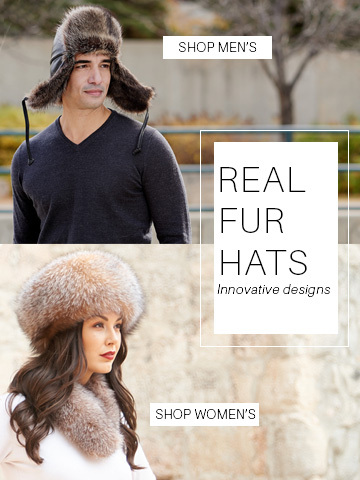 Fur Hat World ships to every country in the world with fast UPS shipping within the United States and Canada, and low cost international postal shipping to the United Kingdom, the European Union, Australia, and the rest of the world. Fast daily shipments are sent to Fur Hat and Trapper Cap crazy England in the UK, the Nordic countries of Denmark, Norway, Sweden, Finland, and The Netherlands. The store makes every transaction easy by offering checkout in either the USA dollar or the Canadian dollar and providing currency equivalent display for the Australian dollar the Great Britain pound and the Euro. "When I first bought the hat the only thing I was concerned with was , "Is it warm ?" . Well the hat arrived with in 2 days of me purchasing it . First thought was oh wow how beautiful. Second thought was Great craftsmanship, this little hat was very well put together . 3rd and final "IS IT WARM ?" This beautiful, soft bunny hat is the warmest hat I have ever owned. Well worth every dollar I spend. I also love the logo. Fur is green . ????????"